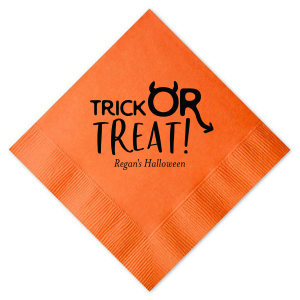 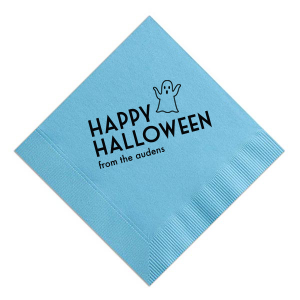 Say “trick or treat” in personalized style with your custom designed Halloween cocktail napkins. 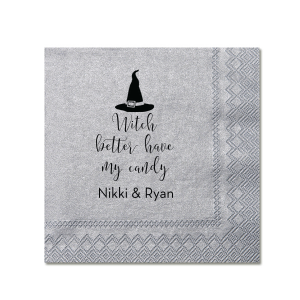 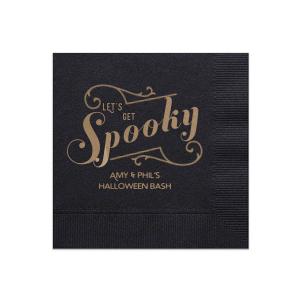 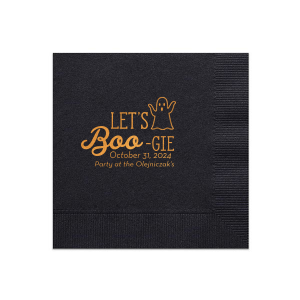 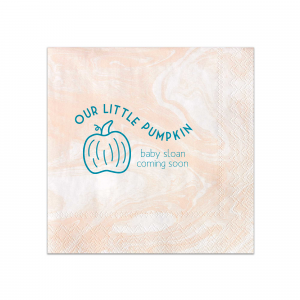 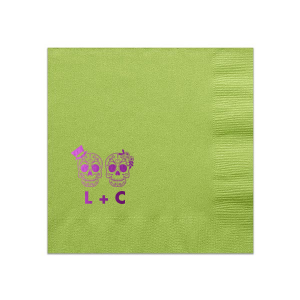 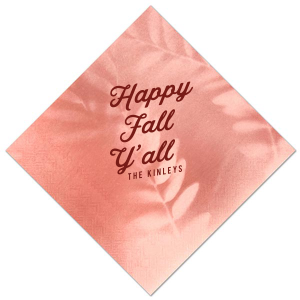 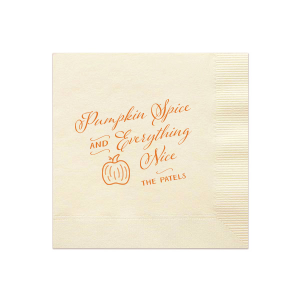 Your guests will love the extra touch of personalization your customized Halloween cocktail napkins bring to your party! 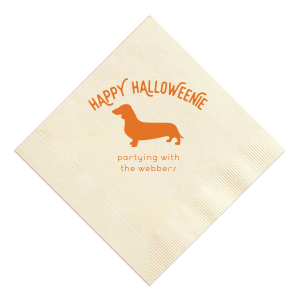 Dress up your Halloween cocktail party with personalized Halloween cocktail napkins! 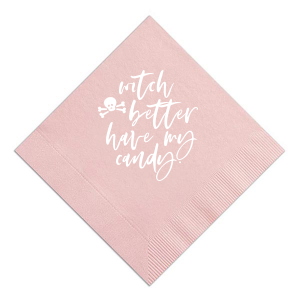 You’ll find plenty of spooky color and design options for your custom designed Halloween cocktail napkins as you browse our galleries. 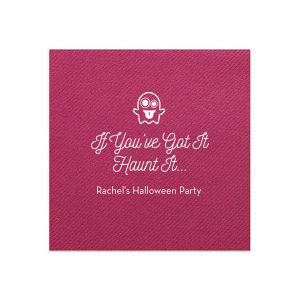 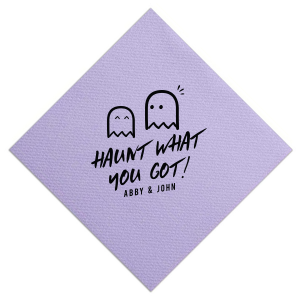 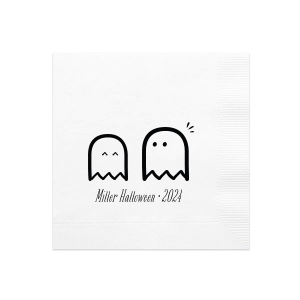 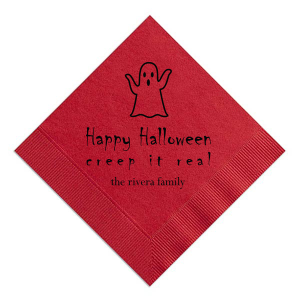 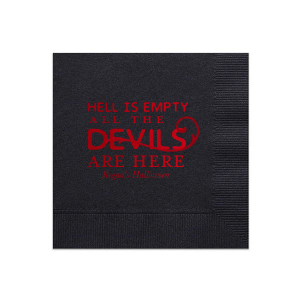 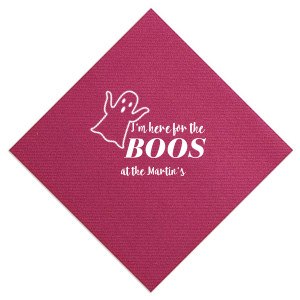 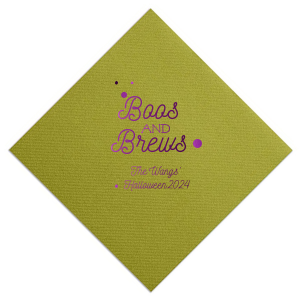 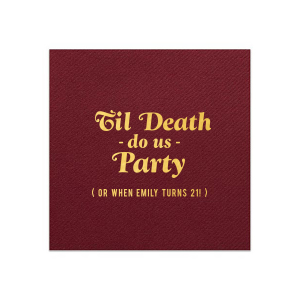 Select the “costumes and cocktails” design or go with the clever “boos” design to give your customized Halloween cocktail napkins a humorous touch. 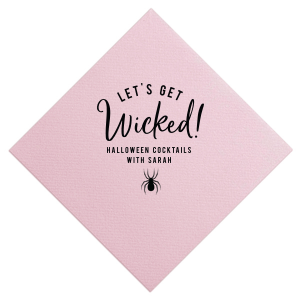 With Halloween graphics ranging from cute ghosts to mummies to witches on brooms, your personalized Halloween cocktail napkins will be fun and easy to create. 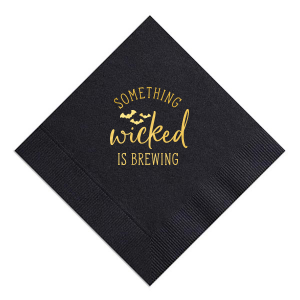 Choose a classic black napkin with matte tangerine foil stamping, or go for a bright orange napkin with black foil stamping, either way your custom designed Halloween cocktail napkins will be screamingly perfect. 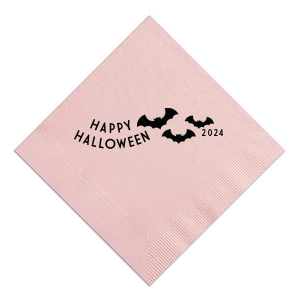 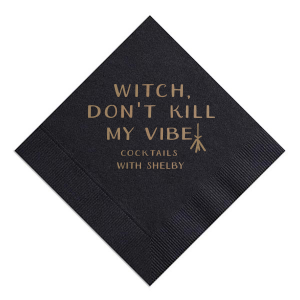 Don’t delay, create your personalized Halloween cocktail napkins today!